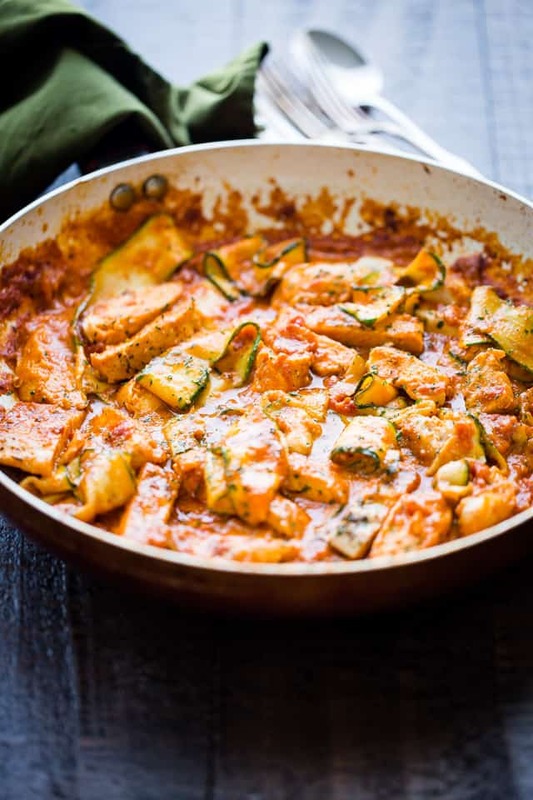 Vodka Sauce Chicken Zucchini Noodles – Easy, quick, but SO delicious Zucchini Noodles and Chicken tossed with homemade Vodka Sauce. Look what’s for dinner tonight!! Woot woot! Oh, Hi. I got a little excited there, but for a great reason; vodka.sauce. Yep. I’m serving you vodka with dinner! And Chicken Zucchini Noodles thingamajig to go with it all. But first, let me please wish you a great Monday and a very happy start to the week. I hope it’s filled with vacation days, a pay raise, great health, and all that great life-stuff in between. And if you’re just like me, staring at a foot of snow in mid-March? Use it as an excuse to stay in and put the world on pause while catching up on Snapped with a bag of Homemade Baked Banana Chips in your lap. 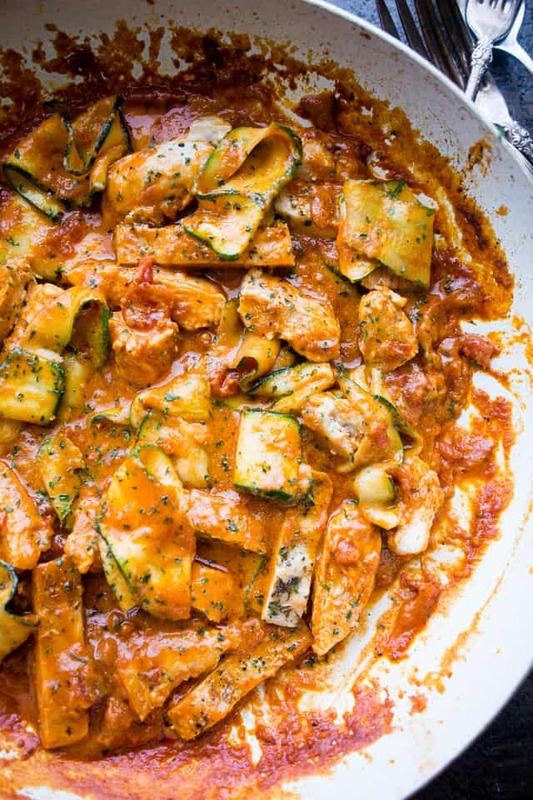 Hope you’re also thinking about dinner and how this Vodka Sauce Chicken Zucchini Noodles will be IT! I’m hereby declaring this my favorite meal as of two weekends ago. You gotta understand, I make a lot of food -it’s my job – so to choose a favorite is super hard, but this one is a no-brainer. As always, though, the best part is how quickly it all comes together. AND the sauce is made from scratch. For that alone, I hope you will be thanked and applauded. Really, it might not get much better than this. What you’re looking at is canned diced tomatoes swimming in vodka and milk. Cheese, too. I know, the combo sounds really odd, but you have got to believe me, it is really, really GOOD. All you will need to do is grab a veg peeler and a few zucchini; using the vegetable peeler, slice the zucchini lengthwise into long strips. 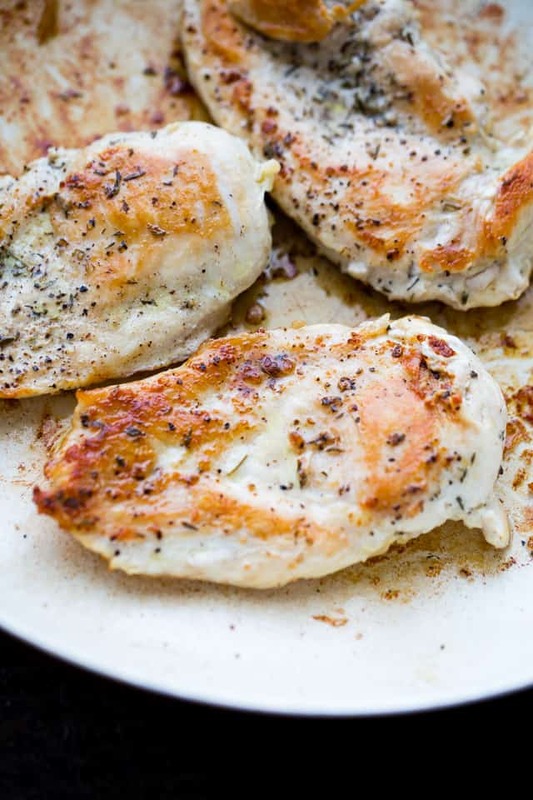 Some chicken breasts seasoned with your favorite seasonings (thyme, salt and pep for me! ), and cooked to a juicy perfection. I know it really looks like rocket science, but it ain’t. And it’s not like this just has to be dinner. It can totally be lunch, or a snack. Or whatever. 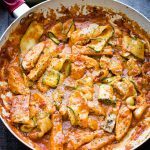 Vodka Sauce Chicken Zucchini Noodles - Easy, quick, but SO delicious Zucchini Noodles and Chicken tossed with homemade Vodka Sauce. Peel zucchini lengthwise with a vegetable peeler to create long strips. 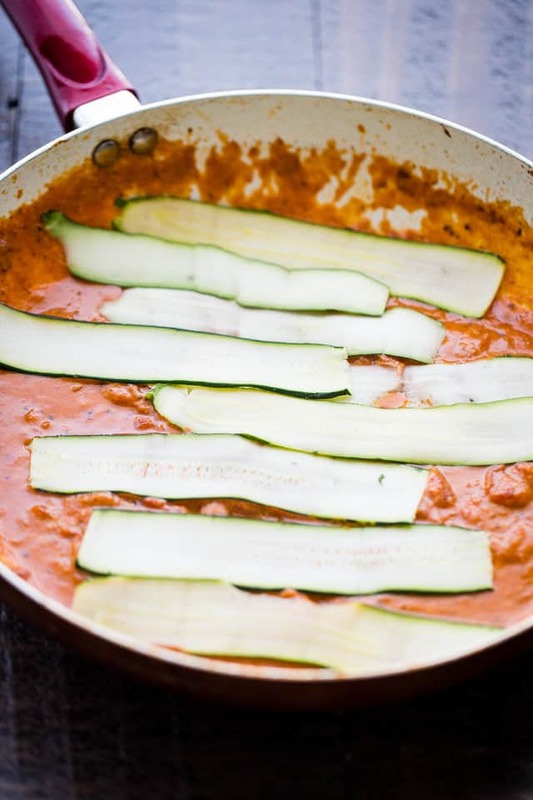 Lay zucchini strips flat on a paper towel-lined baking sheet; set aside to dry. Season chicken breasts with thyme, salt and pepper; add to skillet and cook for 4 minutes per side, or until cooked through. Remove from skillet; cut into strips and set aside. Cover to keep warm. In the same skillet, heat the butter and olive oil over medium heat. Add garlic and tomato paste and cook for 30 seconds, or until fragrant. 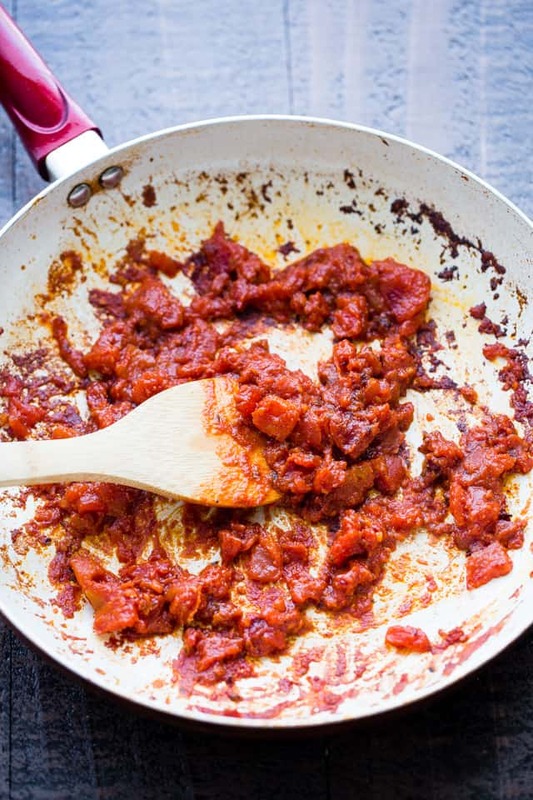 Stir in diced tomatoes and bring to a boil; reduce heat and simmer gently for 10 minutes. Add the vodka and simmer for 8 to 10 minutes. Stir in milk and continue to simmer for 10 more minutes. Stir in the cheese; continue to stir until well incorporated. Add previously prepared chicken and zucchini to the sauce; cook for 1 more minute, or until heated through. This was absolutely amazing. Loved it so much. Used chicken mince instead of chicken breast and lemon thyme. The vodka flavour was just perfect. I even used vanilla vodka and served with Vanilla Vodka and Blood Orange Mineral Water. Would a can of organic coconut milk work in place of the milk in this sauce recipe? I am doing no dairy and am hoping it would work. I’m doing keto Diet so if you took out the milk and added heavy cream or xhe cheese it would work I’m sure and perhaps be creamier sauce. I’m going to try it! This looks sooo good! Question though about the zucchini. After laying them out to dry (step 2), do you just add them all the way at the end for one minute (step 12), or am I missing a step somewhere in between? Thank you!! Did this reheat well? I like to do a little bulk cooking each week. I made this tonight and my husband said that this meal was ” over the top” I consider myself a good cook and I learned from the best…. my mom. My husband and I have been married for 30 years and he said this was one of the best dishes I’ve ever made! Wow!! Thanks so much for this recipe…..variety is always good! We really enjoyed this recipe tonight. The consensus – Definitely make again! 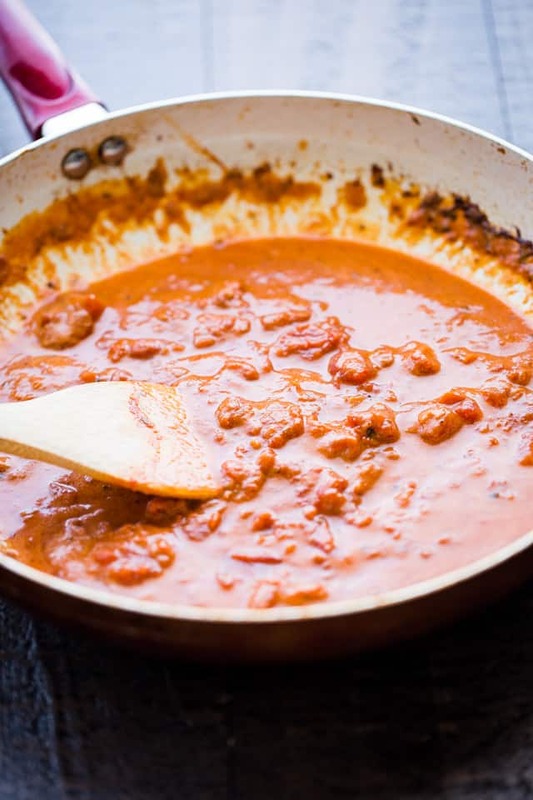 Vodka Sauce is probably one of my very favorite sauces! 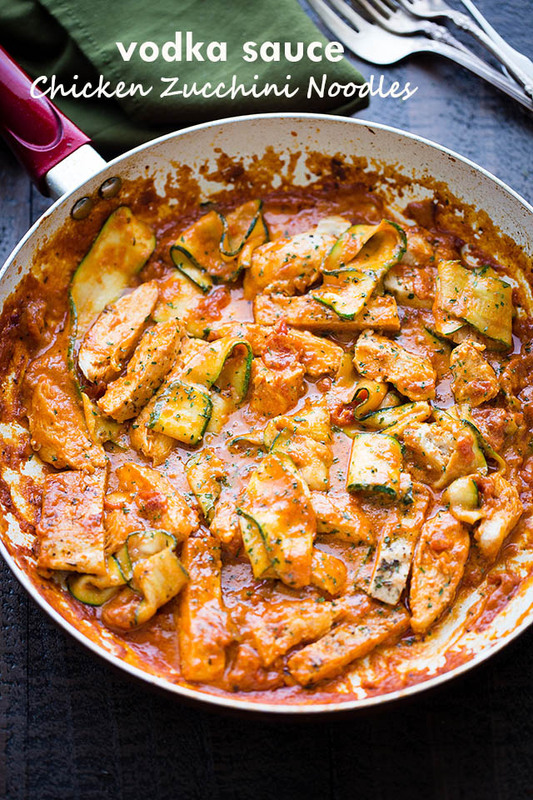 This looks amazing and I love that it has zucchini noodles! This looks absolutely delicious, Kate! I am drooling over this! I love vodka sauce, this sounds amazing! 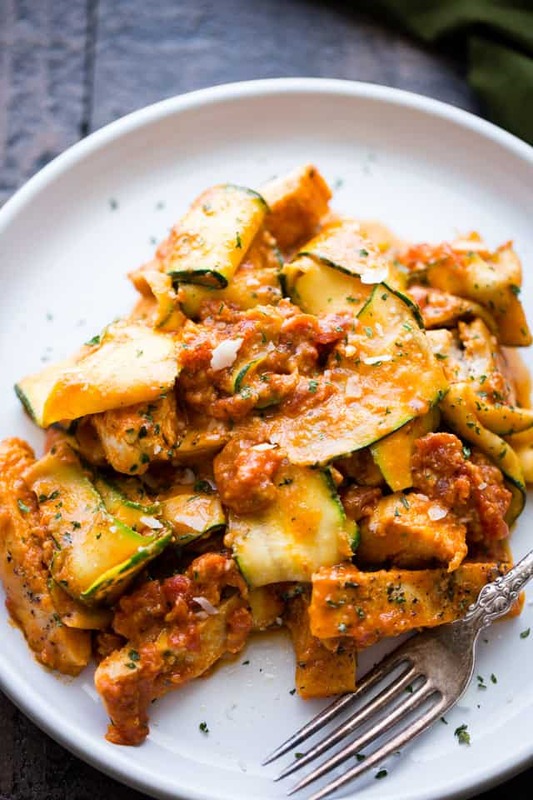 What a fantastic low-carb hack for pasta night! I love this, girl! This looks incredible! I’m thinking dinner tonight! You’ve definitely won me over here…Such a gorgeous meal idea with a cheeky hint of vodka in the sauce, perfect!